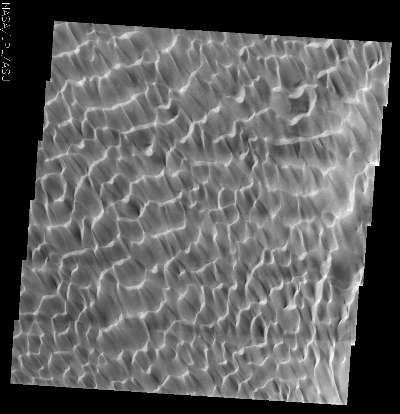 First released as an Art image, the sunlight reflecting off these dunes gives the impression of looking at ripples of water. These continuous dunes appear to be moving to the northwest. The brighter sun reflection is on the steep face of the dune, which faces the direction of dune movement.